Party buses and Limo buses for any occasion. Our fleet of party buses in Philadelphia will accommodate comfortably up to 45 passengers. Full-size bars*, dance floors, flat screen TVs, and premium sound systems - everything to make your party unforgettable. We will pick you and your party at any Philadelphia location or vicinity. Have a blasting experience with your friends or coworkers; visit as many hot spots as you wish or just driver around Philadelphia in stylish party limo bus and have fun. We will get you to your destination safely and in style at any time of day or night. Philadelphia Party Bus 18, 24, 30, 36, 45 passengers of your choice. 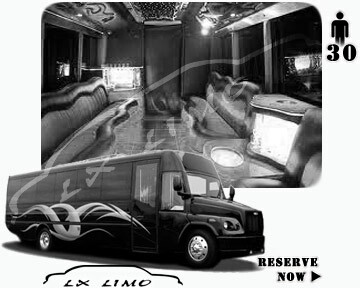 Best Selection and Value for Philadelphia Limo bus and Philadelphia Party Bus. 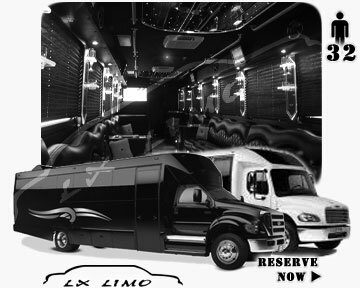 New fleet of luxury Party Buses and Limo party buses in Philadelphia, PA, USA.